For 2015 I really didn’t intend to set any new year’s resolutions when it comes to whisky, as my actions and purchases are always unpredictable, seeing how I don’t rely on the industry for any produce. However I did have Rock Town in mind for more focus given the impressive SMWS B3.1 and after reading about the distillery online. If anything 2015 will be more of 2014, exploring new whiskies from Scotland and beyond. Broadening horizons and seeing what America has to offer is on the list - I’ll actually be in a Florida for a couple of weeks so I intend to seek out a craft distillery whilst over there (if possible) and experience as much local whiskey as possible. New start-up distilleries are faced with the patient wait for those 3 years before they can label whisky in Scotland. America is governed by a different rulebook which I’m not familiar with, although I expect it’s just as biblical in size and as confusing. In the UK often new make spirit is sold and gin also bottled to keep those revenue streams going. Rock Town do produce rum, gin and their own vodka. I particularly like their slogan ‘we’re makers, not fakers’, which probably relates to some of the whiskeys that claim to be from somewhere yet aren’t in reality. Rock Town went back to a recipe from granddad that it seems used to make a batch of lightning (moonshine) now and again. To make the spirit more palatable, he mixed it with apple juice and cinnamon. 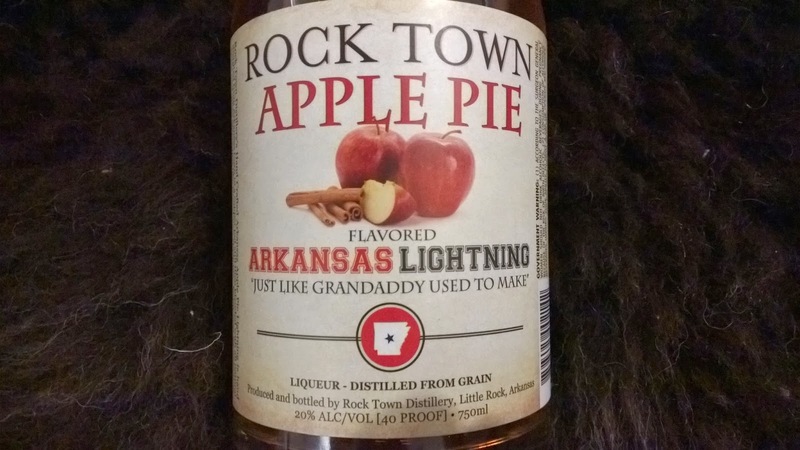 Rock Town used this family refreshment as inspiration for their own Granddaddy’s Arkansas Lightning. The range has since expanded into other flavours including peach, blackberry and grape. However in the UK it seems the apple pie is the most widely available and the one I’ll be covering here. Rock Town has an impressive range of products and good distribution so I’m hopeful in 2015 I can bring to you the hickory smoked, rye and bourbon whiskies at least. For now let’s have some apple pie! You can have this straight but believe me all you'll be tasting for the rest of the day is cinnamon. Instead put aside the Glencairn glass and reach for that rarely used tumbler - you know the one you'll see in all the Haig Club commercials - now is its moment. 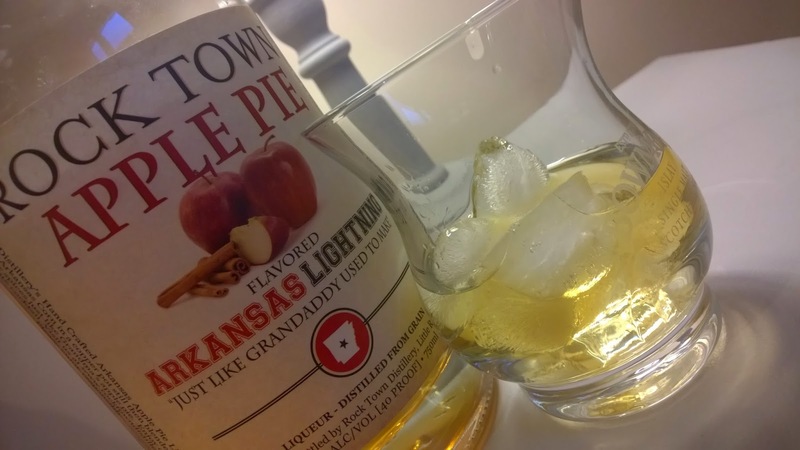 Put some ice in and then pour some apple pie. I'd leave it a little while to acclimatise and dilute. Another option if you have some Prosecco (that leans towards apples in its characteristics) then add a little of this spirit to a glass of fizz and it's a lovely harmony that develops. Nose: cinnamon, pastry, baked apple pie! Certainly not for everyone but I'd rather drink this than gin any day of the week.